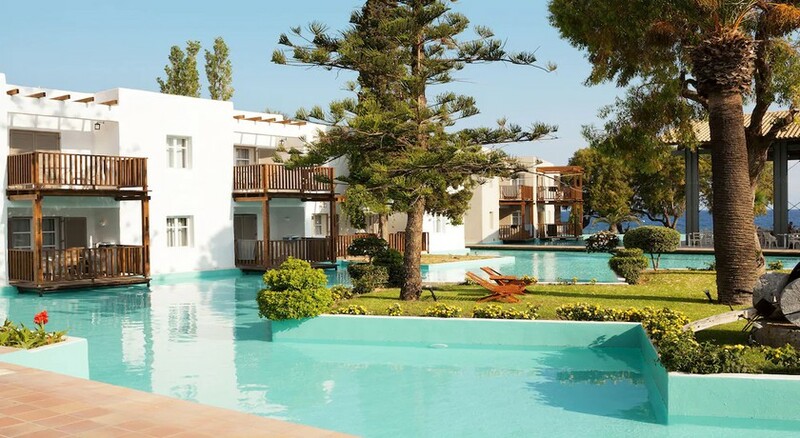 Sunprime Miramare Hotel is set in a beautiful location by the sea on the west coast of Rhodes Island. The hotel is at a 15 minute drive from the Old Town and the Rhodes Town. It just takes a few minutes to reach Ixia beach from the hotel. This beachfront hotel is exclusively for guests aged 16 years and above. It offers an outdoor infinity swimming pool surrounded by sun loungers and parasols. Guests can enjoy the delicious feasts offered by the main restaurants of the hotel. Sunprime Miramare Hotel has won a Gold Travelife Award for taking great care of the environment and social impacts within their business and local communities. Sports and leisure activities include many outdoor games such as tennis, fitness classes and workout at the gym. Spa, massage and beauty treatments are also on offer. Sunprime Miramare Hotel is located near the beach of Ixia resort at about 15 minutes from the Old Town and Rhodes Town. It is 3.5 km away from the town centre. 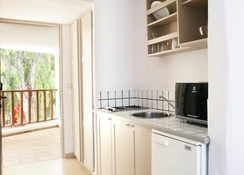 It is situated directly on the seafront area close to the beach. Rooms are categorised as one bedroom apartment having one double or twin bedroom with a sofa in the living area, for 2-3 people. And the other category is Bungalow style one bedroom apartment having one double or twin bedroom with an attached living area, it can accommodate 2 people. All rooms have a private terrace offering wonderful views of the pool or the sea. 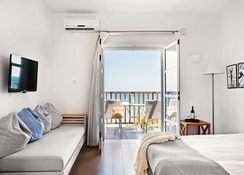 These rooms are air-conditioned, including a private bathroom, living area and a kitchenette for preparing light meals; they also have microwave and mini-fridge. Other room facilities include satellite TV, iron and ironing board, safety deposit box, hairdryer, slippers and bathrobe. The hotel comprises many restaurants, which serve a variety of delicious International and Greek food. Guests can enjoy their meals at their own terraces. The Olyo and Gulliver restaurants are well-known for their high quality cuisine. These restaurants are ideal for families and couples. There are various bars located in different places in the hotel, including Kahuna pool bar, Kotinos bar, and Gulliver bar. These bars serve refreshing and exotic drinks with tasty light snacks. Sunprime Miramare features a stunning outdoor swimming pool, a 1.5 km long private beach with sun umbrellas and loungers. Guests can have fun in the water or just lie back and relax on the loungers enjoying their favourite drinks served by the pool bar. The hotel also has a beautiful infinity pool overlooking the stunning western coast of Rhodes Island. Sports and leisure activities at the hotel include water sports, tennis court, fitness classes and an outdoor gym. This hotel is best suited for guest aged 16 or above.